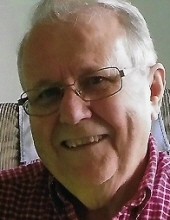 BRANAN, William "Bill" Otis, Age 89, of Swartz Creek, died Thursday March 28. Visitation will be held 2PM Saturday April 6, 2019 at Hill Creek Church, 5363 Hill Road, Swartz Creek (Mundy Township). Memorial service will follow at 3PM at the church. In lieu of flowers those desiring may make contributions to the American Cancer Society or the Alzheimer's Association. Arrangements provided by Sharp Funeral Home Miller Road Chapel. Mr. Branan was born on November 9, 1929 in Quitman, Arkansas and had resided in Swartz Creek until 2017 when he moved to Angel Manor in Clio. As a young boy Bill plowed corn fields, hoed and picked cotton, baled hay, milked cows and raised chickens on the farm. Bill graduated from Quitman high school before moving to Flint Michigan in search of employment with General Motors. He retired from Chevrolet in June 1984. Bill was a member of the Swartz Creek VFW Post 3720 and volunteered there working the dinners for several years. Bill was known for his humorous disposition and always had a funny story to tell. He enjoyed reading, playing cards, gardening, golf and was an avid New York Yankees fan. Bill enjoyed taking trips back to Arkansas to visit friends and family and spending time with his grandchildren. He retired from the Chevolet V-8 engine plant with 28 years of service. Bill is survived by daughter Anita (Dennis) Wagner of Flint; grandchildren, William (Courtney) Jackson and Sarah Wagner of Flint; great grandchildren, Hunter Jackson and Alexis Russell; special friend Mary Jane Dawson; several nieces and nephews including Brenda Morgan of Flint and Genette Eurich of GA. Bill was preceded in death by his parents, A.G. and Gennettie Branan; brothers, Amon, Charlie, J.W. Branan; and sisters, O.V.L. McCoy and U.V.L. Branan. Tributes may be shared on the obituaries page of www.sharpfuneralhomes.com. To send flowers or a remembrance gift to the family of William "Bill" Otis Branan, please visit our Tribute Store. "Email Address" would like to share the life celebration of William "Bill" Otis Branan. Click on the "link" to go to share a favorite memory or leave a condolence message for the family.